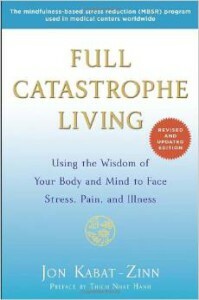 Here’s a list of my favorite books that have helped me understand and reframe life with these crazy health issues. 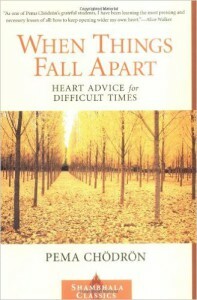 A great book connects us to others with similar challenges and offers help for our own struggles. This book inspires me to be braver. This guy basically signed up to get dysautonomia on a whole other level. Immediately after his year in space he wrestles with strange new symptoms as he adjusts back to earth and its gravity… symptoms that I identify all too well with. He recounts, “I struggle to get up. Find the edge of the bed. Feet down. Sit up. Stand up. At every stage I feel like I’m fighting through quicksand. When I’m finally vertical, the pain in my legs is awful, and on top of that pain I feel something even more alarming: all the blood in my body is rushing to my legs, like the sensation of the blood rushing to your head when you do a headstand, but in reverse.” Sound familiar? For those of you with mast cell issues, he also describes, “I have a strange rash all over my back, the backs of my legs, the back of my head and neck- everywhere I was in contact with the bed.” His wife said it looked like an allergic rash, like hives. 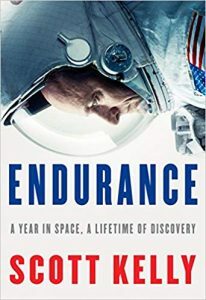 I felt so connected with him as he shared his story, thankful for all the research and testing he’s putting himself through to study the effects of space on the human body, and grateful (and hopeful) to know he rebounded so well. It’s also incredibly validating to hear how hard it was for an otherwise healthy and badass navy fighter pilot and veteran astronaut to endure these symptoms… symptoms that are so often dismissed and minimized by others… and sometimes even by POTS & MCAS patients themselves. You might finish the book feeling like should be giving yourself a little more credit for what you endure yourself, and maybe even feeling like you can be a little bit braver. 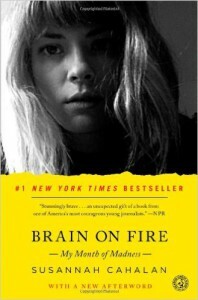 This New York Times best-seller is first-person account of a young woman who gets a bug that triggers a mysterious autoimmune reaction, rapidly causing brain inflammation, paranoia, and seizures. She struggles with identifying her symptoms, and before she has a chance to really understand what’s happening she begins to lose her sanity and has to fight for her life. There was so much I related to, like the confusion and denial of the first signs of illness, the countless doctors that fail her as her health quickly deteriorates. This was a gripping read that left me feeling hopeful and surprisingly connected. A non-fiction book that’ll attract those who enjoy a technical read. 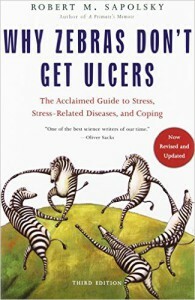 It’s definitely written for the layman, and Sapolsky has some great graphics and a nice sense of humor that keeps the material easy to read. You can check out my post that highlights my favorite concepts. Buddhism-inspired advice for how to cope with the grim challenges of life. She’s spiritual, yet nontheistic. There’s no “everything happens for a reason” here. Instead, her words ring honest and true. Refreshing and grounded. This book is the backbone of full-fledged mediation programs for pain management at institutions like Scripps, and was recommended by my therapist. I’d recommend skimming through most of the pages and spend time on the exercises like the “body scan.” There are so many books on meditation, but this one has stood out to me as more clinical and effective by providing different approaches and perspectives. Worth checking out at your library. If that doesn’t sell you, there’s a foreword by Thich Nhat Hanh.